Primary Religious Education curriculum enables young people to see and respond to God in their lives. One of the features of our Catholic Schools is the rich religious education programs which are an integral part of all our schools from Kindergarten to Year 12. 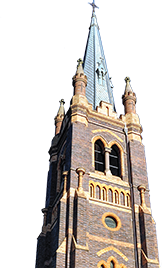 The Bishop of Armidale, as chief pastor, mandates our religious education programs and ensures that they are theologically sound and provide a rich foundation for growth in the faith for all students. Religious Education is a mandatory subject for all students K- 12. The Diocese, in partnership with Archdiocese of Sydney, has developed the RE curriculum. The following excerpt from the RE Online website provides an overview of the K- 12 curriculum. In particular, the ‘storytelling approach’ of Godly Play and The Catechises of the Good Shepherd nurtures the natural capacity that young children have for curiosity, imagination and wonder. Throughout their primary years, children are invited to reflect on Sacred Scripture, talk with God through prayer, discover the beauty of God’s creation and explore the meaning of symbols and rituals. Above all other things, this is the time when young people come to know how much God loves them, and when they are drawn into a love of God and others. Students in Years 7-12 are invited into a deeper and more intimate relationship with God through their exploration of the Scriptures, their participation in personal and communal prayer and their living out of Catholic social and moral teaching. The secondary RE curriculum provides opportunities for young people to ‘see, judge and act’ in response to Jesus’ great commandment to love God and love others and thus, ‘live life to the full’. Students in Year 11 and 12 have the opportunity to study either Catholic Studies which is a BOSTES endorsed course or Studies of Religion which is a BOSTES developed course.